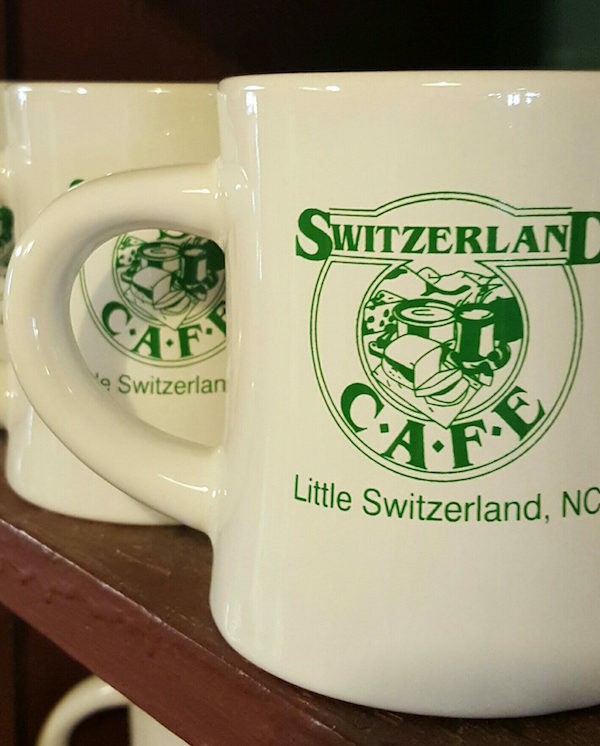 We drink a lot of coffee, but no matter your beverage of choice, this large cafe-style ceramic mug will keep you sipping your toddy with a smile. 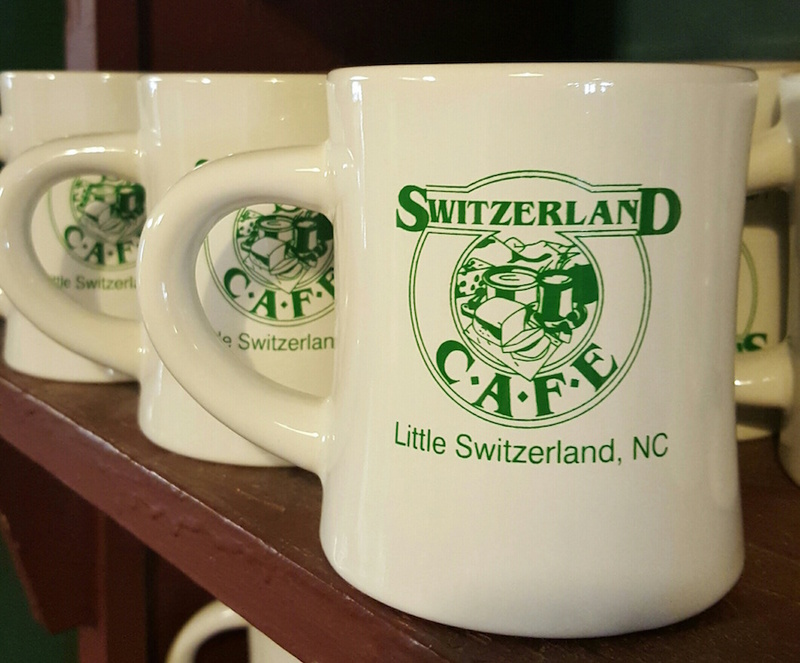 It features a large, green logo of the famous Switzerland Café, which will make all of your friends green with envy. 14 Oz mug. Coffee not included.